1. Induction of genetic instability. Each cancer cell carries within itself genetic instability, and this instability increases the chances the cell will be able to mutate as needed to adapt to its environment. 2. Abnormal expression of genes. In essence, the function of genes is to make proteins—a process called gene expression. When they are expressed, some genes produce proteins that inhibit cancer progression, and others produce proteins that facilitate it. In cancer cells, abnormal expression of genes occurs, resulting in too few proteins that inhibit cancer and too many that facilitate it. 3. Abnormal signal transduction. Signal transduction is the movement of a signal from outside the cell toward the cell's nucleus, where it can stimulate proliferation or other activities. One important source of external signals comes from growth factors. Growth factors are soluble molecules that bind to specific receptors on the cell's surface and stimulate the cell's activities. A second source of external signals comes from cell adhesion molecules (CAMs). Cells interact with their environment through CAMs located on their surface. Cell adhesion molecules are proteins that act like fingers to regulate the degree of contact with other cells and tissues and inform cells of their surroundings. Other factors are also involved in signal generation and signal transduction. For example, cancer cells can produce their own growth factors, thereby allowing self-stimulation; they can produce extra receptors for growth factors; and they can produce free radicals, which can make growth factor receptors more responsive to stimulation. 4. Abnormal cell-to-cell communication. By decreasing their contact with normal cells, cancer cells are freed to act independently. As mentioned previously, cell-to-cell communication occurs via portals between adjacent cells (gap junctions) and through cell adhesion molecules. 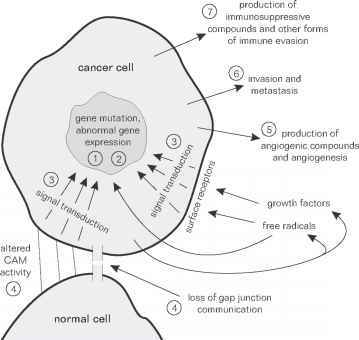 Normal cell-to-cell communication through gap junctions maintains homeo-stasis and discourages cancerlike behavior. Normal CAM activity keeps cells in place and prevents signal transduction that may be initiated by abnormal CAM activity. 5. Induction of angiogenesis. Angiogenesis is the growth of new blood vessels toward and within tumors (or other tissues). Solid tumors require angiogenesis in order to grow. Tumors need blood vessels to supply oxygen and nutrients, and the blood vessels created by angiogenesis provide the channel by which tumor cells metastasize to distant locations. 6. Invasion and metastasis. Tumors can spread both locally, via invasion of adjacent tissues, and distantly, via metastasis through the blood and lymph circulation. The spread of cancer, along with uncontrolled proliferation, is a central hallmark of malignancy. 7. Immune evasion. Cancer cells shield themselves from immune attack, thereby evading destruction; they can hide from immune cells by employing various camouflaging techniques or can produce immu-nosuppressive compounds that impair the ability of immune cells to function. 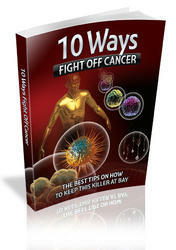 These seven event clusters provide the targets for the anticancer strategies laid out in this book. Each of the seven clusters of procancer events is illustrated in Figure 1.1.
aggressive and successful cancers. Thus one way of reducing genetic instability is by reducing oxidative stress. Other possible means of reducing genetic instability are discussed in Chapter 2. 2. Inhibit abnormal expression of genes. One way that gene expression can be normalized is through modifying the activity of transcription factors. Transcription factors are proteins that act as switches in the nucleus to turn on gene expression. Genes that inhibit cancer progression are commonly underexpressed in cancer cells, and genes that facilitate cancer are commonly overexpressed. Therefore, cancer can be inhibited by normalizing the activity of those transcription factors that control the expression of these genes. The use of natural compounds to affect transcription factors is discussed in Chapter 5. 3. Inhibit abnormal signal transduction. The movement of a signal from outside the cell toward the nucleus relies on several proteins (including kinase enzymes and ras proteins, discussed later), and so signal transduction can be inhibited by blocking the actions of these proteins; using natural compounds for this purpose is discussed in Chapter 4. Signal transduction is a normal process needed by healthy cells, but in cancer cells the volume of signal transduction is excessive, and the signals that flow favor proliferation and spread. Thus the intent is not to eliminate signal transduction but to bring it down to normal levels. 4. Encourage normal cell-to-cell communication. Normal cell-to-cell communication can be fostered by improving gap junction communication and by normalizing CAM activity. Natural compounds that encourage normal cell-to-cell communication are discussed in Chapter 6. 5. Inhibit tumor angiogenesis. Like signal transduc-tion, angiogenesis is a normal process; it is needed during wound healing and in other situations. An-giogenesis in tumors, however, unlike that in normal conditions, is uncontrolled and ongoing. Our intent then is not to eliminate angiogenesis but to normalize its occurrence by normalizing the factors that control it. Angiogenesis is most successful if certain chemicals called angiogenic factors are present, as well as certain environmental conditions, such as hypoxic (low-oxygen) ones. Cancer can be inhibited by blocking the release or action of angiogenic factors or by otherwise altering the local environment to inhibit tumor angiogenesis. Natural compounds that inhibit tumor angiogenesis are discussed in Chapters 7 and 8. 6. Inhibit invasion and metastasis. Invasion requires enzymatic digestion of the healthy tissue surrounding the tumor. It also requires the migration of tumor cells. Invasion can be reduced by inhibiting enzymes that digest local tissues, by protecting normal tissues from the enzymes, and by reducing the ability of tumor cells to migrate. Natural compounds that inhibit invasion are discussed in Chapter 9. Metastasis requires that cells detach from the primary tumor, en-zymatically digest blood vessel walls to gain access to and exit from the blood circulation, and evade the immune system while in the circulation. Thus metastasis can be checked by inhibiting any one of these processes. Natural compounds that do so are discussed in Chapter 10. 7. Increase the immune response. The immune response against cancer cells can be increased by stimulating the immune system and by reducing the ability of cancer cells to evade immune attack. Both actions are best taken in tandem, since without prevention of immune evasion, immune stimulation will have little benefit; healthy, vital immune cells can destroy cancer cells, but only if the cancer cells can be recognized as foreign to the body. 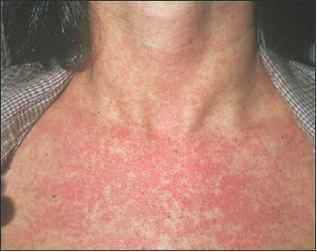 Chapters 11 and 12 discuss the use of natural compounds to stimulate the immune system and inhibit immune evasion.